What a Great Day! Thank you All. 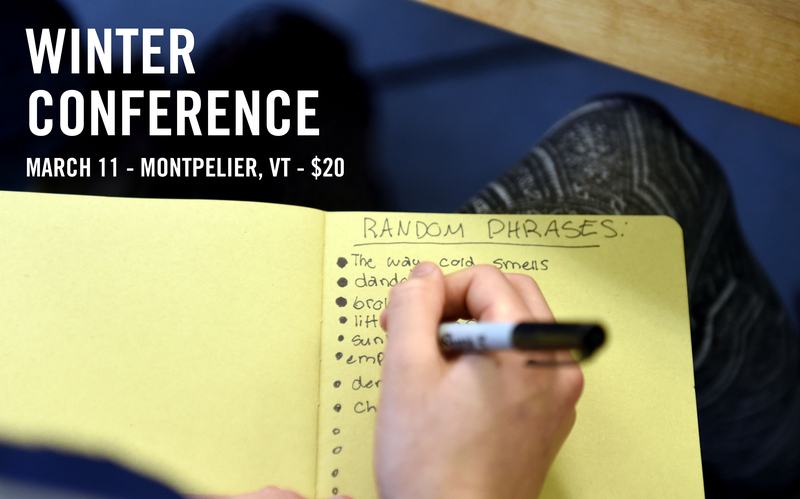 The Young Writers Project's Winter Writing Conference was a blast. Stay tuned for sound, images AND writing -- stories and poems -- that emerged. IF YOU ATTENDED, please put a hashtag #winterconf17 on anything you created from the day. Many thanks to Reuben Jackson, Robin Fawcett and Mary Simons for helping to make this a great day. AND thanks to all of you who came! Your writing, your energy, your voice continues to inspire us all! And if any of you attending sign up to join the site this weekend, send gg an email and he'll approve your account.